A-HOTEL.com - Luxury and cheap accommodation in Plaksino, Russia. Prices and hotel, apartment booking in Plaksino and surrounding. Located in Petrozavodsk city, this hotel is 5 km from the city centre. The hotel features a 24-hour reception and sauna. This hostel is located in the north of Petrozavodsk, just 50 metres from the Ice Arena. Free Wi-Fi and a 24-hour reception are featured at Voyazh Hostel. Koral Mini-Hotel is situated in Petrozavodsk, Sulazhgora district. Free WiFi and free private parking are available. "Соня" мини-гостиница is set in Petrozavodsk. With a terrace, the property also has a shared lounge. Karjala Home on Zaytseva is set in Petrozavodsk. Guests may enjoy free WiFi. Set in Petrozavodsk in the Karelia region, квартира has a balcony. Free WiFi is featured. Located 4 km from the city centre of Petrozavodsk, the Hotel Berezovaya Rosha is less than 1 km from the P19 motorway and offers free parking. Free WiFi is featured. 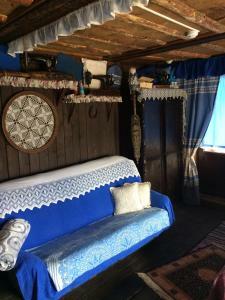 Located in Petrozavodsk, PtzAp on Varkausa Style provides air-conditioned accommodation with a terrace and free WiFi. This apartment offers accommodation with a balcony. Апартаменты на Варкауса is situated in Petrozavodsk. Guests staying at this apartment have access to a fully equipped kitchen and a balcony.